A recording picked up from the production company of Bernard Purdie, the renowned drummer then fresh from James Brown sessions and about to become Aretha Franklin’s music director. The song was co-written by Doris Willingham and keyboard player Richard Tee who also produced the session, which yielded a third unrelease track called ‘Too Much To Bear’. 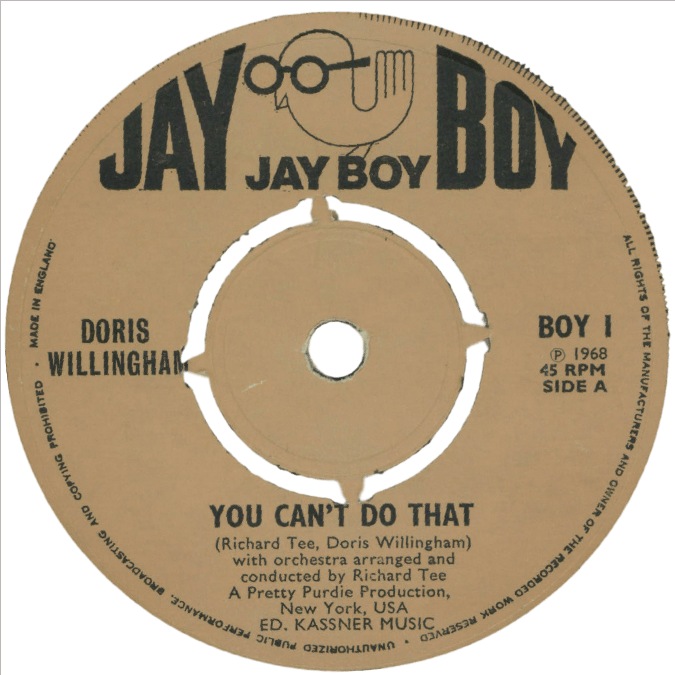 Ace Records licensed the a-side and compiled it on a collection of recordings by Doris Duke, the performing name of Doris Willingham (this her married surname).